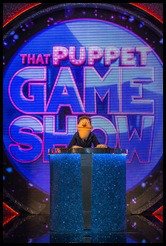 Set Designer, Sarah Milton, chose Anna Valley to supply the LED displays on the new BBC Saturday Night Show That Puppet Game Show. The show was recorded at BBC Elstree studios, originally the home of The Muppet Show back in the 70s, when the studio was then part of ATV. Sarah used several high & lower resolution LED displays from Anna Valley, which including Toshiba 6mm, F30 and MiTRIX. The Lighting Direction for That Puppet Game Show is by Will Charles and the show is Directed by Richard Valentine. The show has been made by the BBC in conjunction with The Jim Henson Company (the creators of The Muppets) and features the Miskreant Puppets from Puppet Up! in their first family-related appearance.